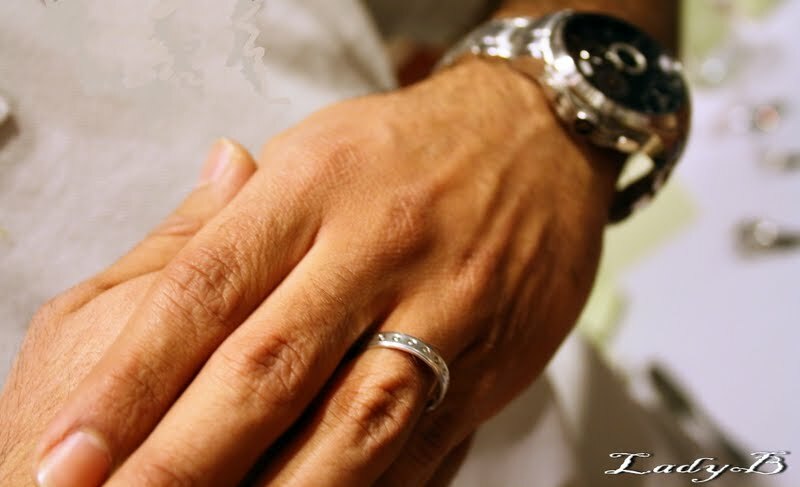 Men who takes it upon themselves and wear their wedding bands all the time, deserve a round of applause ! A question to all the gentlemen out there , if you're married do you wear your wedding band? or in future hopefully would you wear your wedding band ? akheeeh ya glby, ur post yah 3al jar7 *sniff*! i was planning to write about this long time ago! smth about kuwaiti men, they rarely wear wedding rings ella fi elmonasabat esa3eeda, madre lesh! They sure do deserve a round of applause! I think this is an important step. It's like flaunting their marriage with a simple act. There should not be a reason for them not to. This is the one my husband has. It's also from the Atlas collection. That's one pretty band N got ! You're welcome sweety, just a weird thought haunting my mind in the past while ! Thnx to you and Aziz for your kind help and supporting me ! And thnx for being up to my crazy idea ! So I took it for "safe keeping" ... I lost it !!! My Dad lost his and my Mom's like '6af'. Bes a7is I'd be upset if I ever got married and my husband wouldn't wear it or lost it.